Here is a script to the upcoming comic which is a Sonadow parody version of Disney's Beauty and the Beast. Sorry about the label that I wrote the letters wrong. The Swedish title is "Rörda av en ton". Well, it may not make sense about the dubbing dialogue. Anyway, this will be the first Sonadow comic in Swedish. Well, this will also be in English. Come to think of it. When I watched the Tommy Thunder episode. Between Sonic and Tommy Thunder and between Belle and Gaston do have in common. Well, the dub translation dialogue have to be changed for some reason. 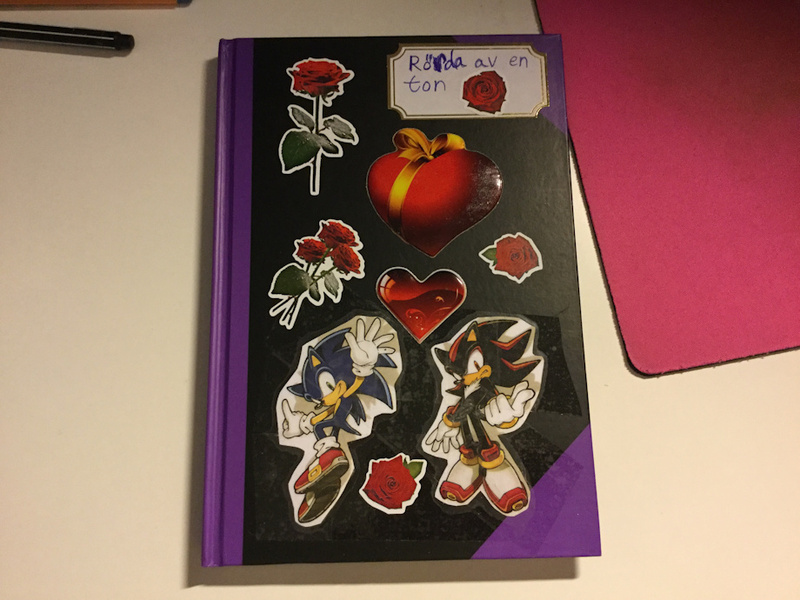 So, what do you think of the stickers I put on that script? Thanks. Do you actually remember the "Tale as old as time" song in Swedish and English? Ok. You see. I just wanted to know if you know the differences in the dialogues in dubbings of this film. Anyway, it's fun to make comics in our native language. So excited! I wish you luck. Oh this is going to be good!